A very good condition C-type complete with a Daystate carbon fibre silencer. One of the best precharge rifles on the market, comes complete with Q Tec mod, 2 magazines and adjustable stock. TX 200 HC .177 Beech Underlever Air Rifle only £479. Latest model from Brocock with adjustable AR stock, picatinny scope rail, picatinny bipod rail, 480cc HiLite bottle, pistol grip, Huma regulator for increased shot count. Includes 10 shot magazine, single shot tray and filler adaptor. Great value combo from Stoeger comes complete with 4-16x40 scope moderator gun bag and tin of pellets these are selling fast. The HW100 is like new, comes with Hawke 4-16x44 scope, two mags and pump. 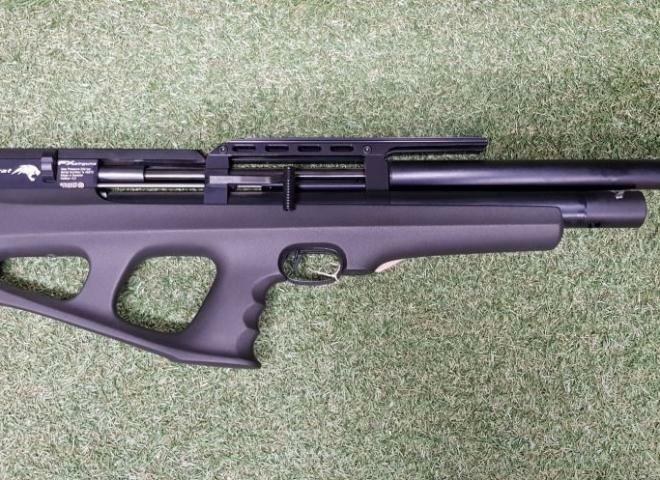 New Weihrauch HW100 KS .177 pre charged air rifle. An absolute clasic PCP and one of the best value for money air rifles around. New Weihrauch HW100 KS .22 pre charged air rifle. An absolute clasic PCP and one of the best value for money air rifles around. A hardly used 850 package which includes a Walther scope, mounts, a Walther silencer and bipod. For further enquiries on this gun please quote location number 276.
:Walnut stock with accessory rail & QD studs. :Adjustable comb & heel plate. :Side lever loading 10 shot magazine. An exquisite compact lightweight air rifle with 10 shot magazine, grey laminated stock, removable shroud and silencer system. Great looks and handling. Please note that this gun is Ex-Display. A thumbhole walnut stocked air rifle with a large capacity bottle & magazine, shrouded barrel. Stunning value for money. A superb lightweight compact bolt action air rifle with a 10 shot magazine. Synthetic tactical stock. Excellent reliability and accuracy. With wooden stock, peep sights and leather sling.The wood stock is Beech.Wood makes the handling better and quietens the firing cycle down.